Protoss heirarch Artanis is sounding pretty desperate. He and the last of the remaining Protoss race float through space aboard the ship Shield of Aiur. The Fallen One, Amon, has taken what made the Protoss strong and corrupted it—the Khala, a religion/psychic connection that unified the Protoss into a single force, is now too dangerous to use. The remaining Protoss had to sever their connection to the Khala. For the first time in forever, the Protoss can't communicate psychically. They can't share their minds with the rest of the Protoss. Artanis doesn't just sound desperate. He sounds resigned. Lonely. 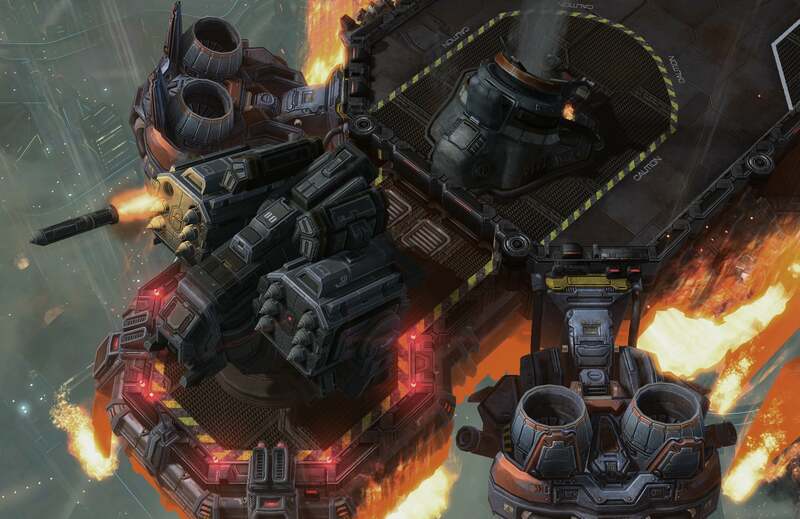 This is the end of StarCraft II, and it's the end of a story arc born five years ago. The Protoss will, as Blizzard put it, "have their day in the sun." And then, as far as I can tell, the sun will consume them. It's difficult to write an article about Legacy of the Void without saying, "It's more StarCraft II." The game's the third part of a trilogy that's been dribbling out over the last five years, and the changes here are more "refinement" than "revolutionary." On the multiplayer side you have (of course) new units, including the return of the fabled Zerg Lurker, and a host of balance changes. There's also the new Archon mode, which forces two players to control a single base and army cooperatively. I can already hear the sound of friendships breaking, people screaming "What are you doing? You idiot!" over headset microphones. Oh, it's glorious. 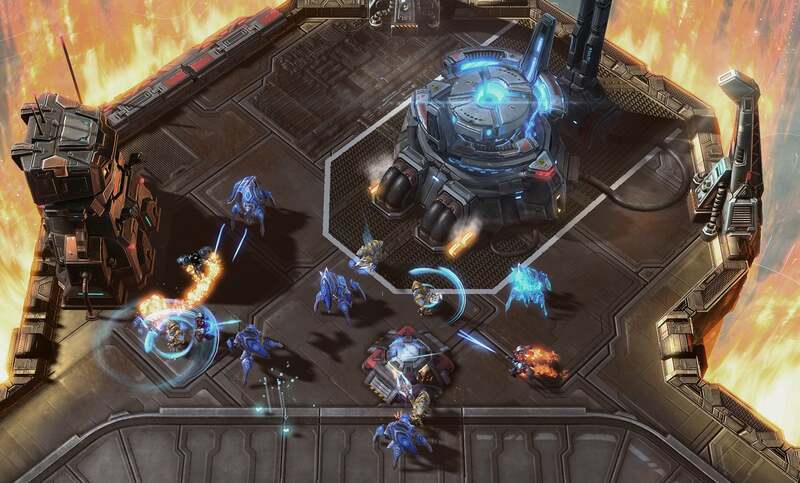 And in hopes of recapturing its former esports glory, Blizzard is adding automated daily tournaments to StarCraft II multiplayer. Get people hooked on competition early and perhaps the game can recapture some of its notoriety from the hands of League of Legends/Dota 2. I'm not here to give you a play-by-play of Legacy of the Void's multiplayer though, primarily because the changes made are so high-level that I'm not adequately equipped to discuss them. Outside of the new units, these are tweaks that professional players will notice but will hardly register with your average player (me)—like the fact that there's less vespene gas in each deposit, forcing you to expand faster. Suffice it to say, it feels likeStarCraft II but faster and more aggressive—and thus more interesting to watch others play. In other words, Blizzard is now directly catering StarCraft II to esports. This is also the conclusion of Blizzard's StarCraft II story, though—an enormous space opera spanning three games. 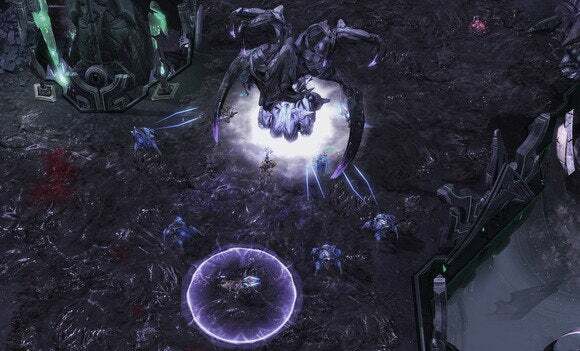 Legacy of the Void is being sold as a standalone product instead of an expansion, which leaves Blizzard with the unenviable task of trying to explain two games of content to newcomers. I asked Blizzard how it plans to do that, but nobody is sure yet (or they aren't talking). 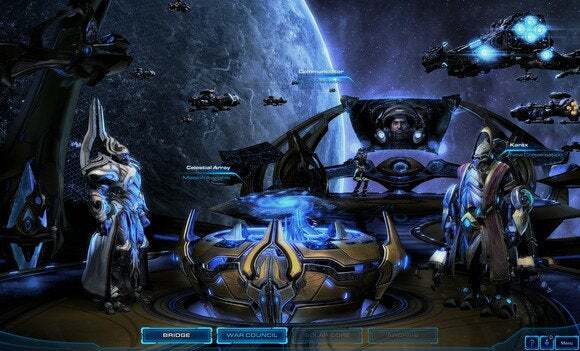 While the previous two games, Wings of Liberty and Heart of the Swarm, featured the Terrans and Zerg respectively, Legacy of the Void features the Protoss, an alien race in decline. Blizzard's rhetoric surrounding this game is all sorts of ominous. This is the end of a trilogy, so hearing that numerous character storylines will be wrapped up isn't a surprise. It's the way they say it though—I'd expect a Game of Thrones situation here in the third chapter, with some of these character's endings being a bit more final than others. It could be the end of the entire Protoss race—the stage is certainly set for their demise. Disconnecting from the Khala has left the Protoss lost and vulnerable, and Zeratul already foresaw the demise of the Protoss (and Artanis) at a last stand sometime in the future. Against that sort of apocalyptic background, what I played was rather tame. Artanis needed to recover a device from series favorite Jim Raynor, but when we arrived to pick it up we found a space station under attack. If its orbital stabilizers weren't repaired immediately, the station would crash into the planet below and annihilate millions of people. I was given a single base and a handful of troops, then tasked with capturing five points on a map. Yeah, this is still a real-time strategy game. It was interesting hearing Blizzard talk about its other new game Overwatch at BlizzCon this year—Chris Metzen in particular was out there saying how it brought new energy to the company, how it made the company feel like it did twenty years ago, et cetera. That sort of talk makes me wonder if Blizzard is just sick of making real-time strategy games. It wouldn't be too surprising, considering its other properties are an MMORPG, an action RPG, a collectible card game, and now a shooter. There's undeniably a sort of "been there, done that" with real-time strategy games. There are only so many scenarios, really—capture points, hold out against overwhelming odds, take a small group of troops through a map without a base to support you. That's been true of every real-time strategy game for twenty years now. The set dressing changes, the circumstances and the units change, but it's the same old levels again. It seems like even Blizzard is maybe tired of that structure. They have this grand, apocalyptic space opera constrained by the trappings of the same StarCraft mechanics. 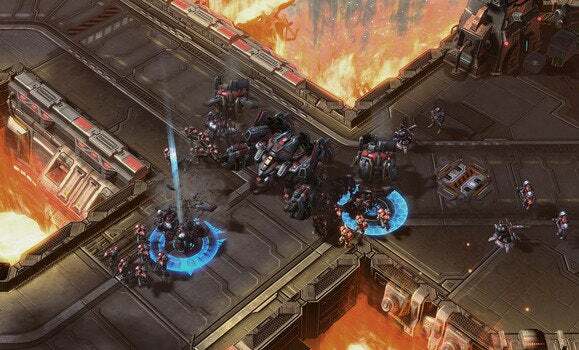 I almost wouldn't be surprised if, after StarCraft II concludes, Blizzard takes a while off from real-time strategy games—sorry, WarCraft 4 hopefuls. That's not to say StarCraft II is bad in any way. This is still the most polished real-time strategy game on the market, no contest. It's fast, and there's still the thrill of building an army and seeing it sweep through your enemy's fortifications like a red tide of destruction. It's just that the phrase "More StarCraft" is appropriate here more than ever. Blizzard's plan to split StarCraft II into three parts is amazing as far as story is concerned, but it leaves the whole endeavor feeling all too familiar as we gear up for one more go-round.